Bringing you the best Hard Rockers on Volume 2. This album includes Hard Rock/Metal from West Coast to East Coast rockers and International too. 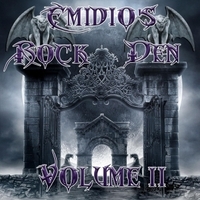 This collection presented on Volume 2 is another great addition to the series of volume releases under the title Emido's Rock Den.